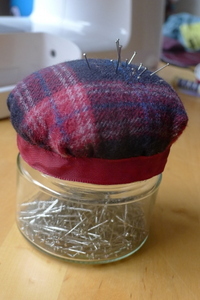 The 100% wool upcycled tweed skirt… what can you make? 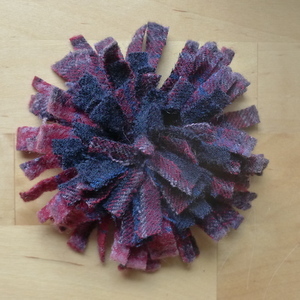 For a bit of fun I decided to see what I could make from the one of those pleated tweed tartan wool skirts, which I traditionally think of older ladies wearing… frustratingly I didn’t take a picture before I started! 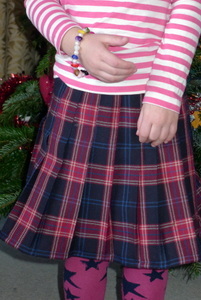 It’s not the most pratical skirt for a 5 year old as dry clean only, but I have a suspicion she won’t wear it often! I was left with two odd shaped and small pieces of fabric. What next? 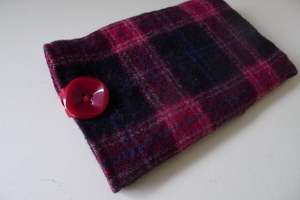 A small make up bag, pin cushion, flower broach, decorated hair pin, book cover? In the end I decided on projects I have been meaning to make for a while.. The finish on this pincushion recycled jar is far from professional, good job I was not planning on adding them to my Etsy shop then!! and lastly a flower corsage. What would you make?? I have shared this on Handmade Monday over at Handmade Harbour, why not check out the other lovely items people have added? "10+ Easy fabric flower tutorials"
I love that you got all those things from one skirt! That is superb upcycling! Thank You 🙂 I love the fact I now have a cover for my e-reader so it doesn’t get dusty!! Wow, what lovely creations and all from one old skirt! 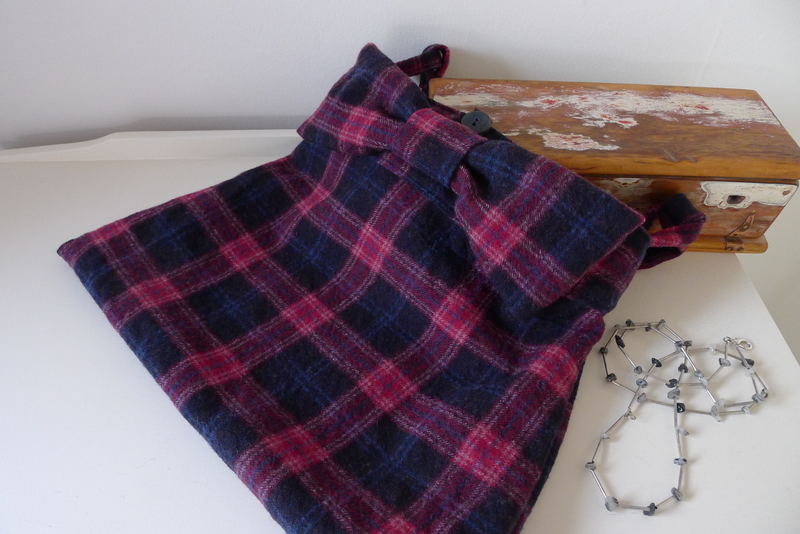 I particularly love the bag – so pretty. Just goes to show what you can do with an old skirt. Love what you’ve done.